Each year we ask our students in formation to introduce themselves. This year’s group includes four candidates, four professed seminarians, and three novices. They are men from a wide variety of cultural, educational and work backgrounds. Yet they all speak of their shared call to the spirituality found in the Priests of the Sacred Heart (Dehonians) and a desire to serve others. “The fact that the SCJs are committed to continuing Christ’s work of rebuilding our world into God’s kingdom of justice and love is a strong connection for me,” wrote Kenneth Anyanwu, a first-year candidate. 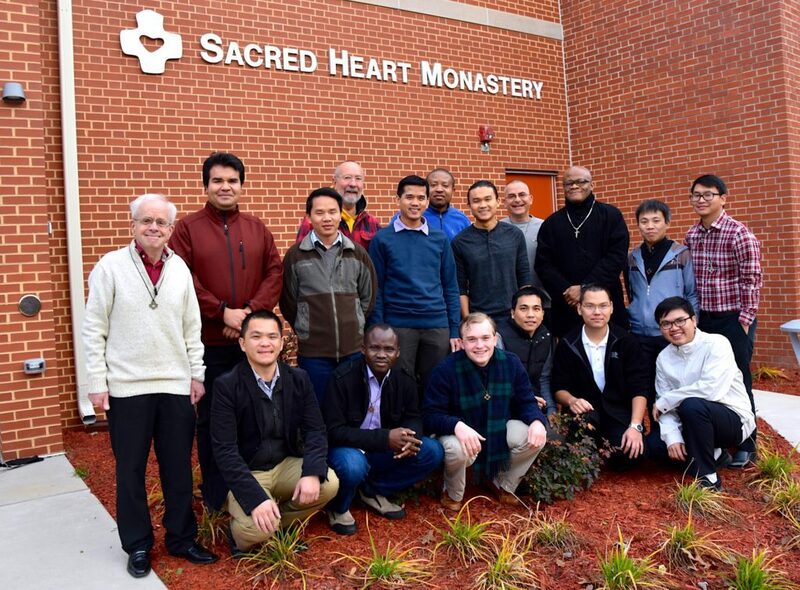 Frater Huan Pham, SCJ, from Vietnam, said that “Dehonians, in their own charismatic way, essentially attracted and impacted me with their motto of being ‘Prophets of Love and Servants of Reconciliation.’” Frater Huan came to the US Province after seven years of formation and studies in the Philippines and a pastoral year in Vietnam. “I am touched by the SCJs’ desire to help those whom society rejects the most, and how that charism plays such an important role in the life of a missionary,” wrote Jacob Smith, who at 19 is the youngest member of the formation community. A convert to Catholicism, this is Jacob’s first year in formation. Click here to read the rest of the student introductions. LEFT: Fr. Peter McKenna and Francisco Rico Martinez; RIGHT: Francisco speaks in Toronto. The North American Migration Commission (NAMC) and members of the Toronto SCJ community had a unique opportunity to learn about the “Migrant Caravan” from someone with direct insight into the situation: Francisco Rico Martinez. Not only did Francisco live in El Salvador throughout the brutal civil war of the 1980s, but he actually knew Archbishop (now Saint) Oscar Romero, and later worked for the organization founded by Archbishop Romero before his martyrdom. He sees many similarities in the refugees of today to those from El Salvador years ago. Francisco spoke to the group on October 12 at Becoming Neighbours’ new office space in Toronto. Becoming Neighbours is an immigrant-outreach organization sponsored by approximately 20 religious orders; Fr. Peter McKenna, SCJ, is a staff member. Francisco said that the exodus has been driven by poverty, violence and desperation. Most of those in the caravan come from Honduras and Guatemala, which have a history similar to that of El Salvador. The countries are in a region considered one of the deadliest in the world. Click here to download a PDF about the presentation put together by the commission. It concludes with four action steps suggested by Francisco. “In order to serve youth we must hear their voices,” wrote Br. Diego Diaz, SCJ. “They ask us – the Church – to accompany them in their growth, but that accompaniment cannot be one-sided.” Br. Diego spent many years in youth ministry in Argentina. He recently wrote on the province blog about his experience at a La RED meeting, a network of Catholic organizations and pastoral ministers committed to the evangelization, holistic development, and ongoing support and formation of Hispanic teens and young adults in the United States. “My own experience of being accompanied in my first steps of discernment guided me in my decision to seek in the spirituality of the Heart of Jesus a way of living, and a way of accompanying others,” wrote Br. Diego. Now, he says that it is his turn to accompany others. Click here to read the rest of Br. Diego’s reflection on the province blog. JUNE – Fr. 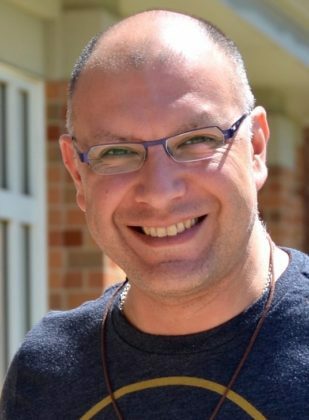 Anthony Gittins, CSSp, author of the book, Living Mission Interculturally, has agreed to join SCJs at their June 11-14, 2019, assembly in Hales Corners, WI. He will lead a full day of sessions on Wednesday, June 12, and the morning session on Thursday, June 13. All SCJs, novices and candidates in North America (US Province and Canadian Region) are invited to the assembly. The US Province jubilee celebration will be on Monday evening, June 10. The full assembly schedule will be finalized in the next few months. Fr. Vien Nguyen, SCJ, is chairperson of the organizing committee. JANUARY – Members of the US Province under 70 and in active ministry should have received their invitation from Fr. Ed Kilianski, SCJ, to the January 8-10, 2019, Provincial Conference in Hales Corners. It is a continuation of last year’s conference: “Our Future Together in Community and Ministry.” If you are an SCJ under 70 in active ministry and DID NOT receive an invitation, please contact Fr. Ed. ALSO IN JANUARY – For those who are not taking part in the Provincial Conference, SHSST is sponsoring its second annual Preaching Conference, January 7-8, 2019. This year’s theme: “Preaching Profound Possibilities in the Lukan Gospels.” The keynote speaker is Fr. John Rausch. Fr. John, a Catholic priest with the Glenmary Home Missioners, coordinates a Ministry of Appalachian Justice Education. Fr. John was named the recipient of the 2007 “Teacher of Peace” award presented by Pax Christi, USA. Note: SCJs who are participating in the Provincial Conference are welcome to attend the Monday evening session of the Preaching Conference. For more information, contact Dn. Steve Kramer at skramer@shsst.edu or call 414-858-4767. 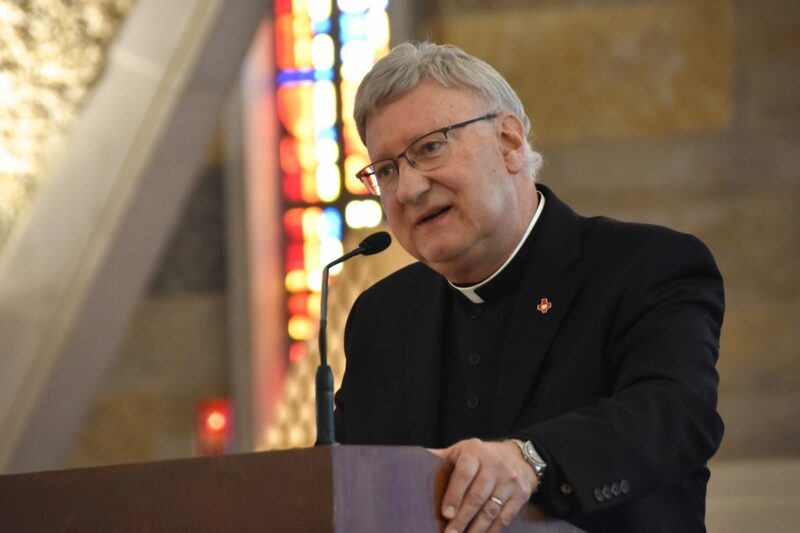 “When we see the face of the stranger in another individual and open our hearts to his/her story and share our own, we begin to move beyond our own prejudices and truly ‘welcome’ the one whom we did not know,” said Fr. Jim Walters, SCJ, in his homily at last week’s all-school Mass at Sacred Heart Seminary and School of Theology. Fr. Jim is SHSST director of Hispanic Studies. Click here to read his full homily. Sister Camille Kliebhan, OSF, died November 17 at the age of 95. A former member of the SHSST Board of Directors, she served as its first female chairperson. An educator, she also served as president and chancellor of Cardinal Stritch University in suburban Milwaukee, with which SHSST has had a long partnership. Click here to read the obituary on Milwaukee Journal Sentinel website.